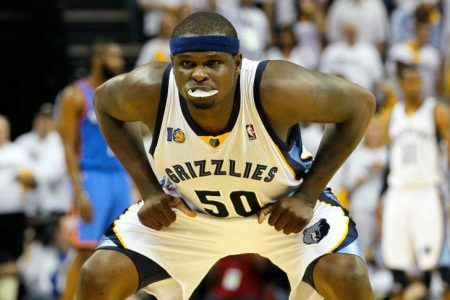 Play On: Memphis Grizzlies -2.5. Golden St. is on an unprecedented run as it has won 16 consecutive games and its 21-2 start is tied for the third best 23-game start in NBA history. It looked as though its 15-game winning streak would be snapped last time out as the Warriors were down late against New Orleans but they came back to force overtime which they eventually won. The epic start includes a 13-1 record on the road with the last 10 games resulting in victories but tonight presents the biggest challenge over this stretch. Memphis has won four straight games including two straight overtime wins in its last two games and while that normally would be a red flag, the fact that the Grizzlies have had two days off negates any sort of fatigue factor. Memphis is 11-1 at home which is the best home record in the NBA and the only loss came against San Antonio where it was outscored 42-15 from long range. Going back further, the home edge for the Grizzlies has been solid as they are 43-19-1 ATS in their last 63 home games against teams with a winning road record. The Warriors winning streak comes to an end tonight. Matt is coming off an NBA split but he has still been KILLING the courts with a PROFITABLE +$6,615 NBA/CBB return the last 22 days! He is on a POWERFUL +$18,496 NBA run and there is no slowing down as he is releasing a MONSTER play on Tuesday with his one and only NBA TOTAL OF THE MONTH which adds to his EPIC 6-1 (86%) O/U run! This is a big one so do not miss out!